France international Antoine Griezmann was influential this weekend, scoring twice as Atletico Madrid overcame Elche in La Liga action. Not only did the former Real Sociedad man guarantee three points for Diego Simeone’s side, he also broke a domestic scoring record. His weekend brace means that Griezmann is now the top-scoring Frenchman in a Spanish top flight campaign, it’s no wonder that United and Bayern are keeping tabs on the 24-year-old. With five games still to play this term, the forward has bagged an impressive 22 goals in only 24 starts. It’s a record that puts him third in the La Liga scoring charts—behind only Cristiano Ronaldo and Lionel Messi—and represents the greatest-ever haul for a Frenchman in one year. 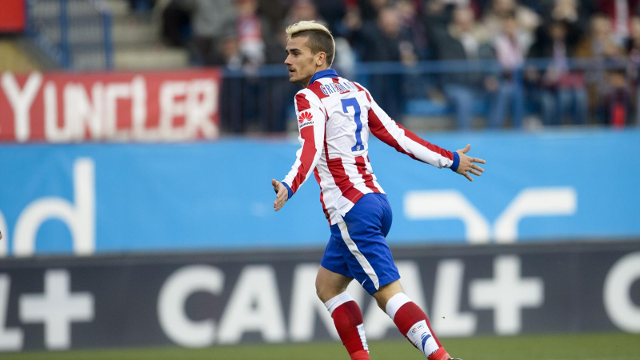 Amazingly, Griezmann’s 22 goals for Atleti is more than Karim Benzema has ever managed in one season for Real Madrid. The France striker arrived at the Bernabeu in 2009 but, to date, his best haul in a season is 21—back in the 2011-12 campaign.